Resume Types – What Type of Resume is Right for You? When you’re searching for the right resume for a job, the options can seem confusing.So, what type of resume is right for you? Regardless of the type of resume you choose, every resume must include your name, contact information, work history, and education. While some resumes can be a combination of resume styles, most fall into the following categories. Select the resume that best highlights your strengths and qualifications for the job or career you are seeking. Chronological resumes list jobs in reverse chronological order. They begin with your current or most recent job, and end with the oldest. Chronological resumes are the most popular since employers can easily see the number of jobs an applicant has held over a period of time. In functional resumes, skills, qualifications, and education are listed before job or work history. Work history often only includes a company name, job title and date. Functional resumes are an option for individuals with little or no work history, those who are changing careers, or job seekers with noticeable gaps in their employment history. Combination resumes combine positive aspects of both chronological and functional resumes. 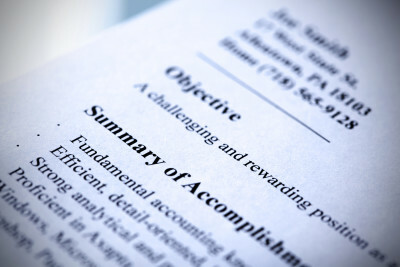 A combination resume begins by listing skills and qualifications, and then list work history. Combination resumes allow the applicant to highlight job-specific skills and experiences while still displaying a strong work history. As the name suggests, recent college graduate resumes are ideal for those who may have recently graduated from college, trade, or technical school. These types of resumes highlight education, coursework, skills, and abilities above work history. Targeted resumes are written to apply for a specific position. These resumes take into account information employers post about a job opening, and are customized to show employers how applicants meet the requirements for a particular position. The combination resume allows a job applicant to show the employer how he or she is perfectly qualified for a position. Nontraditional resumes allow creative types such as graphic designers, web developers, artists, and photographers to display their unique abilities and talents. Nontraditional resumes may include images, photos, and other graphics. Click here to begin searching free general resume template examples, or return to the home page to browse through resumes by industry.